The Making Place is a registered charity which aims to excite and inform the public about science and technology in interesting settings - like festivals! You can expect fun and engaging hands-on science activities where everyone, young and old, can take part in science experiments then make projects you can take away as a reminder. Whether it's making a jack-in the box or constructing your own jumping bean, all of their activities are designed to promote critical thought and scientific enquiry. Last year they helped us to explore solids, liquids and gasses before we all made honeycomb toffee. Science doesn't get any tastier than this. Get stuck in and expand your mind. 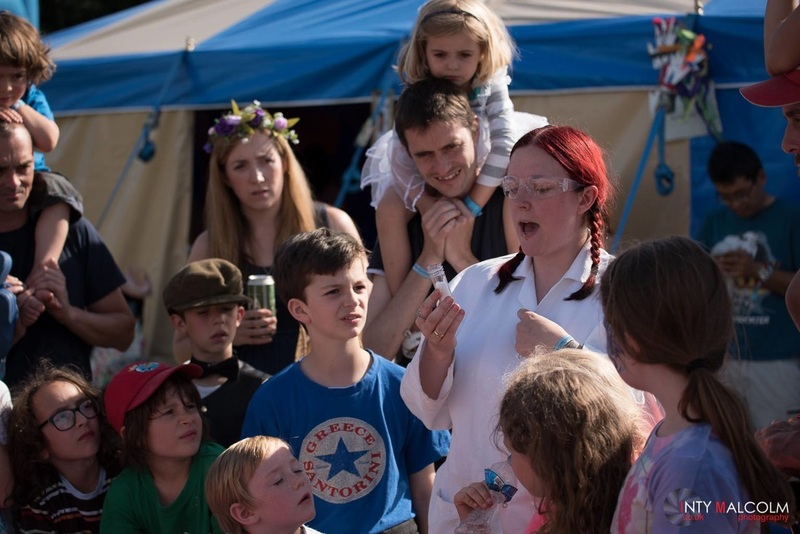 Our science workshops are FREE, like all our family activities at Chilled in a Field.